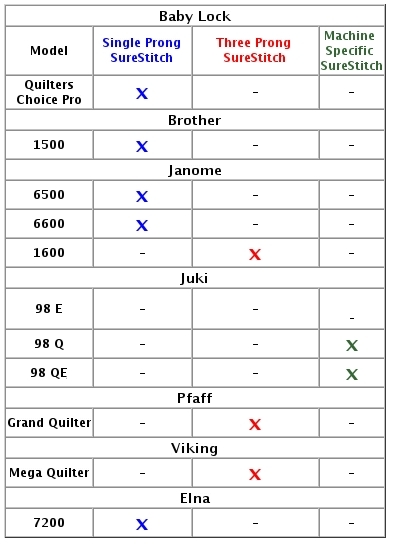 *See Compatibility Chart Below For Brother Dream Frame, Grace SR2+, Continuum, Majestic Pinnacle, Next Generation, GMQ, Pro, Mini Pinni, Start Right, Gracie Frames. Not for Juki TL98"E" or Brother Quattro 6000 6700 6750. Stitch Regulation for beautifully consistent stitches. 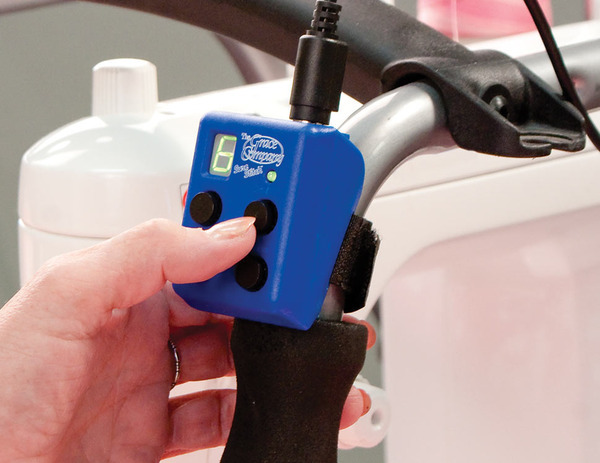 The Grace SureStitch Stitch regulator is the easiest way to control your stitching when using a quilting machine on a frame. It matches the sewing machines speed to your movements to keep your stitches at a consistent length. A dual function stitch regulator and constant stitch speed control. Utilizes your machine’s full range of speeds including low, medium and high to create the desired stitch length. It has a digital control box featuring: Digital stitch speed display, Ability to adjust the stitch speed, Dual color LED display, Pulse button, On/Off button. Note: Plugs into foot control port of specified electronic sewing machines with frames, so you don't have to use a separate foot control. 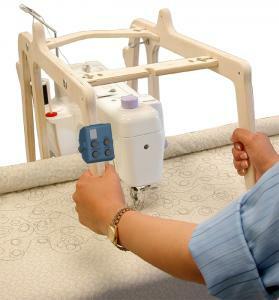 Requires quilting frame carriage platform to install x & y motion electronic encoders, which feedback the speed of platform movement, so the motor can speed up or down and maintain stitch length. Note*: GRSS2 is Brother's part number for SureStitch Regulator For Use With: Innov-ís 1500D, Innov-ís 2500D Innov-ís 2800D – New!, Innov-ís 4000D, Duetta® 4500D, New!, QC-1000. Not the NV6000D Quattro! 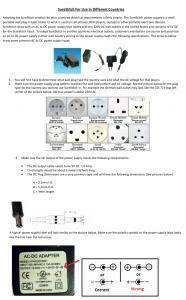 Note*: GRSS1 is Brother's part number for SureStitch Regulator For Use With PQ-1500S! The Grace Company is excited to launch a new stitch regulator - Sure Stitch. . . .that will put more control at your fingertips! for Bernina, Brother, Babylock, Juki, Janome, Elna, Pfaff, & Viking Husqvarna Computer Sewing and Quilting Machines. Dual function stitch regulator and constant stitch speed control. Utilizes your machine’s full range of speeds including low, medium and high to create the desired stitch length. It has a digital control box featuring: Digital stitch speed display, Ability to adjust the stitch speed, Dual color LED display, Pulse button, On/Off button. The Grace SureStitch is a dual function-stitch regulator and constant stitch speed control, with constant contact to provide seamless stitch regulation. The SureStitch takes advantage of your machine's full range of speeds. 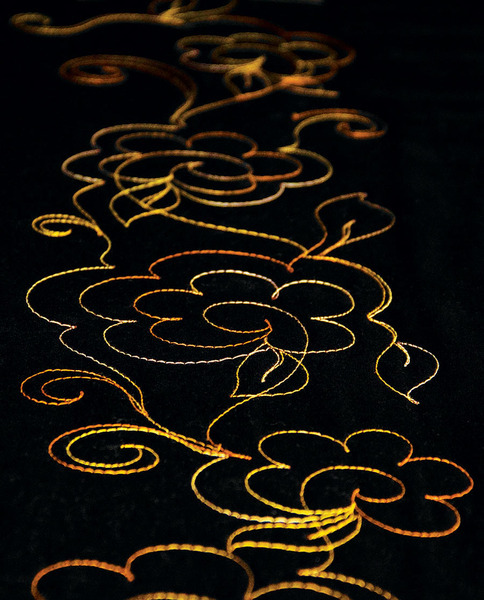 It also utilizes low, medium and high settings to create your desired stitch length. It can be used as a speed control using the pulse button and holding it down or turning it to 9 and that takes it off stitch regulation. Grace Sure Stitch 1 Prong is for machines with separate foot control and power ports on the machine. The Grace Sure Stitch 3 prong is only for Janome 1600P series, with single plug in on machines for both foot control and power source. The Adapter is for older frames to have it work with older carriages. US Warranty 5 years parts, 90 days labor on defects in materials and workmanship. How to Install SureStitch Regulator on newer style dual track frames such as Continuum, Q Zone, SR2 and SR2+, Majestic and Momentum frames. The Grace SureStitch is both a stitch regulator and constant stitch speed control. In Stitch Regulation mode, it takes advantage of your machine's full range of speeds. As you speed up and slow down, so will your machine, keeping all of your stitches the same length. When used as a speed control, the SureStitch lets you adjust the speed of your sewing machine with the push of a simple button. The SureStitch comes with constant contact sensor design for superior stitch accuracy and is cross compatible with multiple machines and quilting frames. The digital speed display, tie-off button, on/off switch, and stitch speed button +/- give you precise control at your fingertips. Grace SureStitch Stitch Regulator overview. An overview of the SureStitch Stitch Regulator, which controls stitch length while machine quilting with a quilting frame. How To Install SureStitch Encoder On A Grace Start Right Frame. The Start Right Frame has flat wheels and the Grace SureStitch - stitch length regulator has inverted V shaped wheels. This video shows how to install the SureStitch encoders so they work on the Start Right Frame. Start and stop your sewing machine with the push of a button. 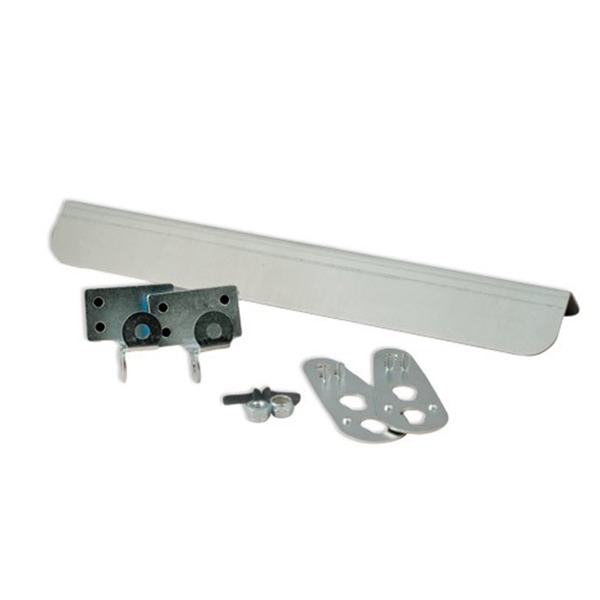 The SureSttich display mounts directly to your handles. Adjust your stitch length or stitching speed right from your handles with the included display mount. This is the way true stitch regulation should look. The Grace SureStitch is both a stitch regulator and constant stitch speed control. In Stitch Regulation mode, it takes advantage of your machine's full range of speeds. As you speed up and slow down, so will your machine, keeping all of your stitches the same length. When used as a speed control, the SureStitch lets you adjust the speed of your sewing machine with the push of a simple button. 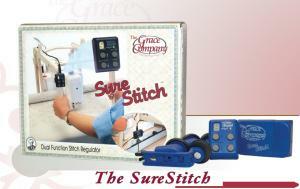 The Grace SureStitch parts provide superior stitch accuracy. I purchased this through the Lafayette Store. The staff their was awesome! Pleasantly surprised to have both shipments arrive earlier than expected. Had one issue that required Customer Service report (manufacturer sent incorrect component), but Kim with Customer Service took care of the issue immediately. I would highly recommend Allbrands.com to family and friends. Always a pleasure to do business with you. Thank you. Thank you for helping me. ThMy order arrived yesterday. I have not installed it yet. I am looking forward to many happy hours of quilting. I have purchased both of my juki machines from your store . They are great machines. I really appreciate Allbrands. I love this website! I have shopped here many times and have alwys been very happy wuth everything from the products to the prices, the free shipping, the fast processing and shipping, and the customer service. Yes, I will do the survey but I wanted to tell you personally, I LOVE you website, I have purchased from your website many times and have ALWAYS been extremely happy with everything. The prices are great, the orders are processed and shipped very quickly and the times I have called with questions the staff has been very helpful, polite and friendly. I will continue buying from your website for as long as we are each around! I am very pleased becouse the Grace Company email me asking if my sewing machine was correct for the Sure Stitch model. I did a lot of research to find the lowest price on the product I did purchase from your Web site and I find that looking through other products on your site, that you are lower in price and have a lot to choose from. I will use the site more often. I was very satisfied with the selection, price and speed of shipment. Thanks a million.